Do I have ringworm in my armpit? That's the first question that comes to the minds of many people when rashes start showing in their armpits. It’s true that fungal infection is common and affect certain areas that are dark, warm, and moist, and your armpit is one such area. 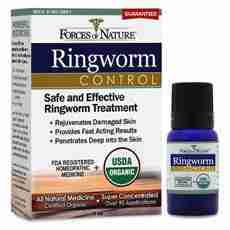 Other common areas that ringworms affect are groin, scalp, and feet. What Causes Ringworm in My Armpit? An armpit fungus affects axilla or axillae (both armpits). It may be caused by yeast or Dermatophytes. Fungi are present in the environment, and some even exist on human skin without having any effect. However, when you come into contact with Dermatophytes, a type of fungal species that has specialized enzymes which eat into keratin in the skin, you are likely to develop a fungal infection. Dermatophytes cause superficial skin infections. A fungus infection in the armpit area would be termed as tinea corporis– this covers most parts of the body, especially the torso. Dermatophytes can be transmitted through direct or indirect contact from one person to another. It’s often spread from one area of the body to another through scratching an infected area and transferring the fungi to an uninfected area. You can also contract it from contact with animals and soil although this is uncommon. This is not a common cause of fungal infection on the skin, but it arises when there is a cut on the skin that may occur due to hair removal from your armpits that may cause tiny tears in the skin. Excessive scratching and chaffing can also cause yeast fungal infection on your armpits. Diabetic people are also prone to more skin yeast infection. Allergies to deodorants can also cause dermatitis. Candida albicans is the most prevalent yeast that causes skin fungal infection. It is the same yeast that causes oral thrush and vaginal thrush. What Are The Common Symptoms of Ringworm In My Armpit? Reddening, burning, and itching of the armpit area. You may develop flaking skin with rounded lesions. You may develop dandruff-like flakes due to skin shedding. You can develop a bad odour if an infection becomes worsens. You need to seek immediate treatment if you notice any of the above symptoms to avoid spreading an infection to other areas. Fungal infections can be treated with effective anti-fungal applications like powders and ointments. These topical applications can be applied severally over a few weeks until the fungus is eradicated. For yeast infections, you can use the same creams used for vaginal thrush. You can also use antibacterial ointments to treat secondary bacterial infections in the affected area. If these topical applications fail to be effective, you can use antifungal agents. These drugs need to be used for 4-6 weeks and are much stronger. However, oral antifungals shouldn’t be used before administering antifungal applications. How can you prevent recurrence of armpit ringworm? Do I have ringworm in my armpit? That's the first question that comes to the minds of many people when rashes start showing in their armpits. It’s true that fungal infection is common and affect certain areas that are dark, warm, and moist, and your armpit is one such area.